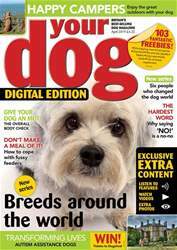 Love is in the air — in the February issue of Your Dog Magazine. We meet the brides whose dogs have played a leading role in their special day. *WIN! 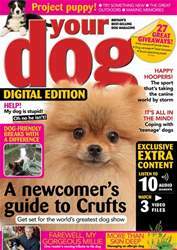 A VIP family day out at Crufts — the world’s greatest dog show — plus we’ve got 20 runner-up prizes of a pair of show tickets. *Find out which products you voted as your favourites as we announce the results of the Your Dog Product Awards 2013/14. *How to cope with losing a canine friend — our survival guide has some practical and sympathetic advice. *Is your pet tense, stressed or anxious? Then discover how TTouch therapy could help improve his well-being. *Patellar luxation and cruciate ligament problems — two of the most common knee conditions affecting dogs. Our series ‘Your top 10 health problems’ takes a closer look at the causes, diagnoses, and treatments available. *Teach your dog how to ‘play dead’. *A puppy buyers’ guide to the Boston Terrier — a fun-loving and loyal companion. 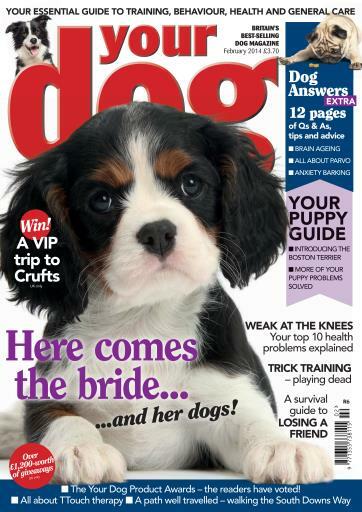 *More readers’ puppy problems tackled. 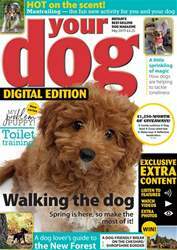 *Discover what’s new on the dog market. 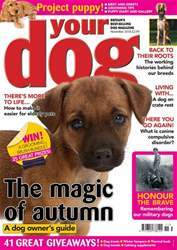 *Walk the wonderful South Downs Way with your dog.